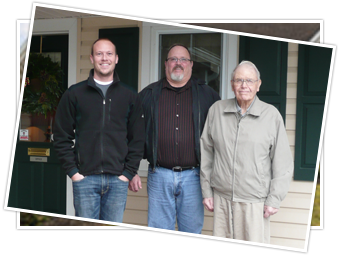 For more than than six decades, Metzler Home Builders has been a part of the Lancaster County community. We thought we’d have a little fun by sharing five things you may – or may not – know about us. Because “home building” is in our name, people often assume that Metzler Home Builders only builds homes. This simply isn’t the case. Sure, we have designed and built hundreds of new homes, but we have also completed countless addition and renovation projects. One aspect our customers find most enjoyable about building with us is the process. Where so many neighborhoods in Central PA have a limited number of home styles from which to choose, that is not the case when building in a Metzler community. Our customers have the ability to integrate their own ideas into the design of their home. If you’d prefer to remodel your home, we are a design/build company – which means you’ll work with us throughout the entire project: concept, design, construction and follow-up. We are an active member of the Building Industry Association of Lancaster County(BIA). You may know the BIA from their two biggest events: The Spring Home Show and the Parade of Homes every June. Abe Metzler worked as a carpenter for more than 20 years, and in 1953, he decided to start his own company with home and barn remodeling projects. With the help from his old son, Roy, they began to take on more work and were approached to build a few houses, too. That was the beginning of Metzler Home Builders. Dan followed in his dad’s (Roy’s) footstep and in 2011, Dan’s son, Jordan, joined the Meltzer team. Posted in Misc. on March 18, 2015 by metzler.